Join us for an epic journey to Maggie Valley, NC! 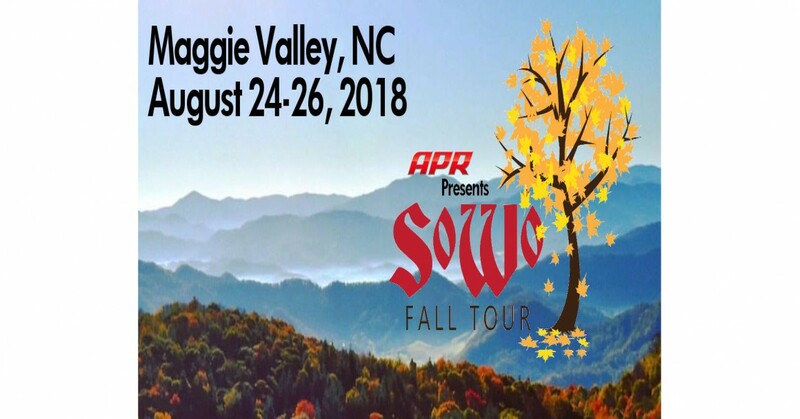 Join us for an epic journey to Maggie Valley, NC for our 2018 SoWo Fall Tour. Enter your car in our European Car Show, Take a tour of the Distillery, hang out with Friends, join us on the Mountain Cruise, and so much more!